KUALA LUMPUR, Feb 20 — Malaysia’s 4G mobile internet service is among the slowest of 88 countries surveyed, according to a report by UK-based wireless coverage mapping specialist OpenSignal today. The report titled “The State of LTE” stated that the average speed of a 4G line in Malaysia last year was 14.83 megabits per second (Mbps), putting it among the bottom 20 countries on the list. Although the service had been available for five years and promises internet speeds of up to 100 Mbps, Malaysia still lagged behind its neighbours such as Vietnam (average speed 21.49 Mbps), Brunei (17.48 Mbps) and Myanmar (15.56 Mbps). However, the average speed was an improvement from the previous year’s performance of 14.35 Mbps, the report went on to say. Singapore topped the list with an average speed of 44.32 Mbps, followed by the Netherlands (42.12 Mbps), Norway (41.2 Mbps) and South Korea (40.44 Mbps). Three other South-east Asian countries were among the worst performers: Thailand, the Philippines and Indonesia. Laos was not ranked. OpenSignal’s latest global report was published after analysing 50 billion measurements collected in the fourth quarter of 2017 to compare 4G performance in 88 countries. Malaysians, on average, are offered cheaper monthly Internet packages compared with their Southeast Asian peers – but these do not fare as well in terms of value for money. This is according to a study by market research outfit BDRC Continental and Internet service comparison platform Cable.co.uk, which analysed more than 3,351 broadband packages worldwide between Aug 18 and Oct 12 this year. The research found the average monthly broadband cost for Malaysia to be RM184.61, with only Thailand (RM110.17) and Singapore (RM160.2) offering cheaper prices. Malaysia, at RM12.85 per Mbps, ranked sixth out of the 10 Southeast Asian countries analysed in the research. Ahead of Malaysia were Singapore (RM0.23/Mbps), Thailand (RM1.79/Mbps), Indonesia (RM6.15/Mbps), Vietnam (RM10.05/Mbps) and the Phillippines (RM11.72/Mbps). The four Southeast Asian countries that offered more expensive monthly broadband in terms of per Mbps were Brunei (RM16.84/Mbps), Laos (RM50.89/Mbps), Cambodia (RM78.26/Mbps) and Myanmar (RM108.51/Mbps). The research also measured the mean download speed and time needed to download a 7.5GB HD movie. The fastest was Singapore, with a time of 18 minutes 34 seconds, followed by Thailand at one hour 46 seconds. Malaysia came in third at two hours 33 minutes and three seconds. Behind Malaysia were Vietnam and Indonesia, which took more than three hours to download the video, followed by Brunei and the Phillippines taking more than four hours, Cambodia at more than five hours and Myanmar and Laos at more than eight hours. Lim Kit Siang: Internet speeds in Malaysia are slower than in Thailand and Singapore. 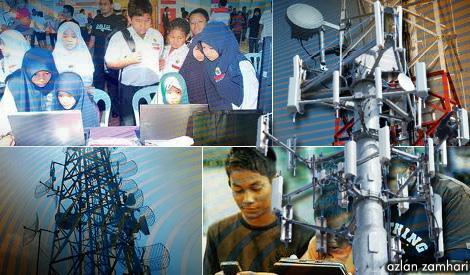 Communications and Multimedia Minister Salleh Said Keruak: Most Malaysians prefer lower speeds. They don’t want to pay more. TigerTalk, Kinibiz: High-speed broadband packages made available to consumers are too expensive. The Akamai Technologies Q3 2015 State of the Internet report released today showed that Malaysians might be one of the most globally connected people but it was not necessarily at a speed they wanted. Based on traffic data in recent reports from Ericsson, in Malaysia about 87% of Internet users already stream videos on a regular basis and this figure is expected to increase by next year. However, current connection speed might not be able to meet the demand for video streaming in the country. For example, the average connection speed in Malaysia is slower than Thailand and Sri Lanka in the region, and barely ahead of Vietnam. Almost two times slower than Thailand, Malaysia at 4.9 Mbps was ranked 73 in a global survey from July to September this year. Singapore remained in the top spot for average peak connection speed at 135.4 Mbps, while India had the lowest average peak connection speed at 18.7 Mbps. – Bernama, December 19, 2015. GEORGE TOWN, Sept 30 — Penang Chief Minister Lim Guan Eng said today that Communications and Multimedia Minister Datuk Seri Salleh Said Keruak should be transferred to a slower-paced role, after the latter reportedly said Malaysians prefer slower Internet speeds. Lim asked the minister to explain his remarks, saying it made no sense to him that Malaysians would want to ensure slower Internet, even when factoring in the issue of costs. “How is it possible that Malaysians do not want higher Internet speed? This proves that he is not suitable to be a minister holding the communications and multimedia portfolio,” Lim told a press conference at his office today. He was referring to Salleh’s comment on Monday that 71 per cent of Malaysian Internet users choose to pay less for the slower Streamyx broadband package with speeds of between 384kbps and 1mbps. n his remarks, the minister had also claimed that although higher broadband speeds are available, most customers subscribe to the slower and cheaper packages. He also said that the minimum Internet speed can be increased to 5mbps but this means only those who can afford to pay higher rates will be able to afford the higher speed package. If the government can reduce the prices of broadband, I am sure most of us would prefer to have a higher speed. Who would want to endure the poor connectivity and Internet speeds that makes a conversation over Skype, not to mention teleconferencing, almost impossible for most Malaysians? COMMENT It is time that the newly-minted Multimedia and Communication Minister Salleh Said Keruak understands where we are as a country in the digital era, before he starts opening his mouth. Short of just five years to 2020, we are still lagging behind a number of other countries in the Asia Pacific region. As pointed out by DAP supremo Lim Kit Siang, we are nowhere near the developed nations and in most parts of the country, especially Sabah (where Salleh hails from) and Sarawak, there is hardly any Internet connection. Less than five years ago, I wanted to subscribe to mobile broadband, but after testing all three Internet Service Providers (ISP) – Maxis, Celcom, P1 – I had to give up and go for something as simple as Streamyx with a speed of less than one megabits per second. Although all the ISPs promised high speed, the speed was hardly achievable despite the fact that my housing estate is just some 20 kilometres from the Kuala Lumpur City Centre. I recall having to raise my complaints frequently with the Malaysian Communications and Multimedia Commission (MCMC) when I testing Celcom broadband for slightly over 12 months. Although having two Internet connection simultaneously, I had to depend mainly on the Streamyx connection. Less than three months ago, I was also experiencing frequent breakdowns which made me decide to terminate ABNXcess, and each time, it took about a week to repair. To switch to Maxis broadband, the waiting period was exactly one month! Salleh should make it a point to bring down the prices of the broadband services in the country. It is not that telcos have not been enjoying huge profit margins, but it is time that prices of broadband should be reduced substantially to encourage more people to switch from a lower speed to high speed connection. Salleh, as a cabinet minister, should prove his worth by taking the country into the next level in the digital era and make every effort to close the digital gap between the urban and rural communities. This is his role and responsibility, not as Najib’s public relations manager or propagandist. If he wants to compete with Rahman Dahlan, who is the official Barisan Nasional strategic communications director, he should just resign from the cabinet and become Najib’s publicist. The government should be improving Internet services instead of shooting itself in the foot by saying Malaysians prefer slower Internet, lamented former minister Rafidah Aziz. “That is embarrassing if the world has the perception that most Malaysians prefer the slower option, and that the government is happy with that!” she said in a Facebook posting yesterday. She was reacting to Communication and Multimedia Minister Salleh Said Keruak’s comments that 71 percent of Malaysian Internet users preferred the slower Streamyx broadband package that offered speeds of between 384 kilobyte per second (Kbps) to 1 megabyte per second (Mbps). He said this was because Malaysians could not afford faster Internet plans that were more expensive. Rafidah, who is former international trade and industry minister, said such statements made Malaysia appear backward, and is unacceptable if the country wants to become a developed economy by 2020. “Investors everywhere want the fastest broadband Internet speed possible on par with what they are used to. “Our own people want that, too, especially people who recognise the benefits of the superfast facility. Our young who are ICT savvy practically demand it!” she said. Rafidah said the government should make use of its Look East policy and learn from advances made by South Korea and Japan in providing fast Internet to the public. KINIBIZ On Monday, Communications and Multimedia Minister Salleh Said Keruak said complaints about slow Internet speeds in Malaysia are because the people cannot afford higher speed Internet. Salleh’s statement seems to imply that the people are not willing to pay for better broadband. Tiger thinks we shouldn’t have to. For one, you’ve insinuated that our lower broadband speeds, compared to neighbouring Singapore, for instance, is because we don’t want to pay more for higher broadband. While that may be true, there’s one important truth you are not conveniently pointing out: the lack of affordable high-speed broadband packages made available to consumers. The affordability of broadband internet is only one of three areas that Malaysia is focusing on in developing its internet infrastructure, reiterated Communications and Multimedia Minister Salleh Said Keruak. Salleh, who is under fire from DAP parliamentary leader Lim Kit Siang, said the other two areas are coverage and speed. Rebutting Lim, he said Malaysia is ahead of most Asian countries when it comes to coverage. “Note the part where I said (yesterday), ‘Malaysia’s focus is speed, coverage and affordability.’ That means cost (affordability) is one point that I am looking at, which is also the point that Lim Kit Siang is talking about. So we are on the same page here. 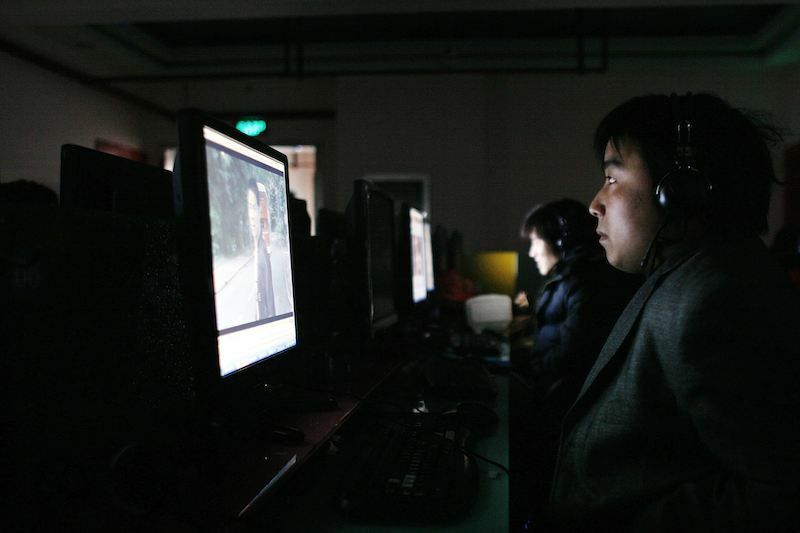 “In Malaysia, our Internet penetration is 67 percent of the population. We are still below South Korea (92 percent), Brunei (75 percent), Japan (86 percent), Singapore (80 percent), and Taiwan (80 percent). “However, we are definitely ahead of the rest of Asia,” he wrote in his blog today. 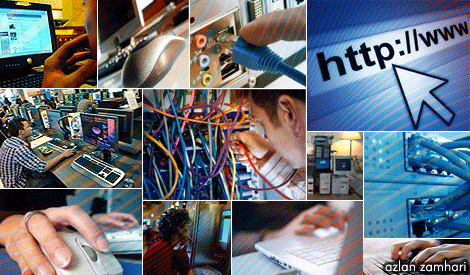 PETALING JAYA: Most Malaysians choose to pay less for slower internet speeds instead of spending more on fast connections, said Communications and Multimedia Minister Datuk Seri Dr Salleh Said Keruak. “Lim Kit Siang is grumbling about the slow Internet speed in Malaysia. “Actually there are a wide range of Internet speeds that Malaysians can choose from but about 71% of Malaysian Internet users prefer the slower Streamyx broadband package that offers speeds of between 384 Kbps to 1 Mbps,” said Salleh in a blog post on Monday night refuting a blog post by Lim. “One would have expected Salleh to be very occupied with blueprints, announcements, statements or even blogs as to how Malaysia is to return to the front-line of information technology powers. But Salleh has been conspicuously unconcerned about Malaysia’s poor Internet infrastructure,” Lim said. This entry was posted in Communications minister malaysia, internet speed malaysia, lim kit siang on internwt speeds. 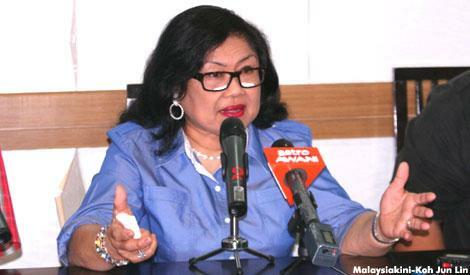 rafidah aziz on internet speeds malaysia and tagged communications minister on internet speed, lim kit siang malaysia internet speeds, malaysia broadband, rafidah aziz internet speed. Bookmark the permalink.